Did I get you? Hope I did! Are you looking for some hands-on science fun? Look no further than your local universities! There are some amazing opportunities to use theme based science trunks filled with an array of amazing educational material and props! From puppets...to specimen...puppets...to lesson ideas your local university might be a great place to start. 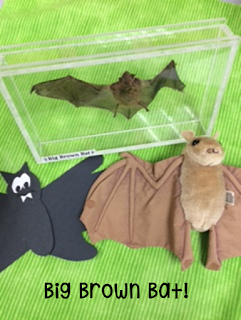 Just a few fun and batty finds in the Bat Trunk! Living here in Wisconsin I didn't realize that the UW-Stevens Point has some amazing environmental science trunks for teachers to check out to utilize in their classrooms...until this year! When I received the trunk, I couldn't wait to dive in to see what my first grade bat lesson might be able to add to make it even more hands-on. My students love the "real" brown bat that they can get a closer look at. Is it a mammal? It has fur, it feeds its babies milk, it breathed air...but most importantly we can see it up close and personal! 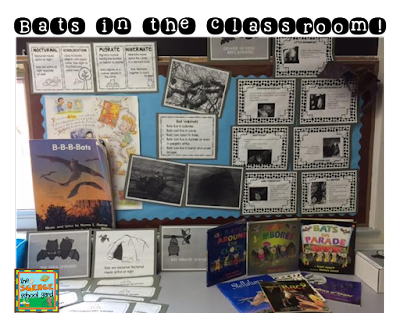 The books that are included have found our way to a station in our room for students to enjoy them in the bat cave! 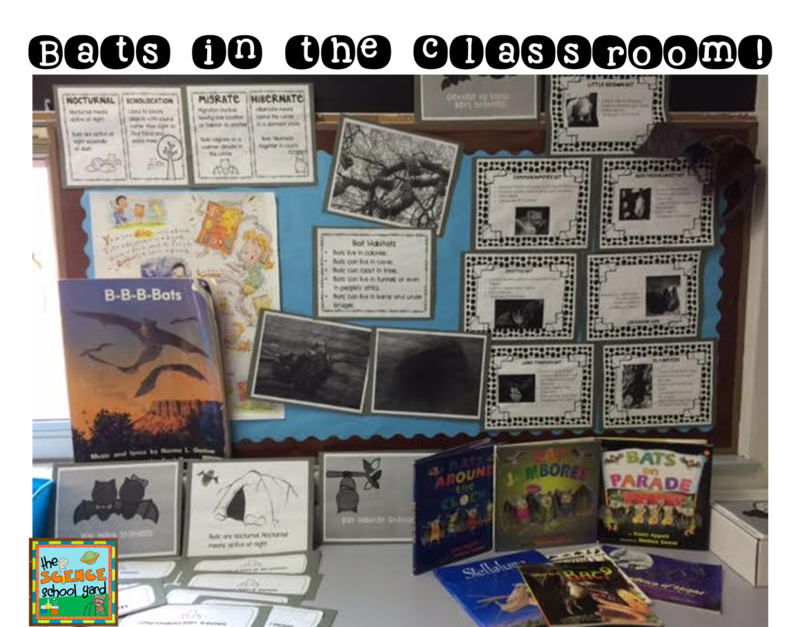 I even decided to use the lesson idea books to create a pack to include as my little gift for letting us borrow the kit for free! YES...my teacher friends these kids found at universities around the country are most often free to use if you are an educator! Not only does our own UWSP have a bat trunk, but you can also check out the bear trunk, bird monitoring kit, energy trunk (that one is mine in May), Watershed (aiming for that when we do FOSS Water with 3rd grade), Fishing For Fun Backpack, and a ton of fun forestry kits that I can't wait to check out when our 5th graders go to our local school forest overnight! If you are here in Wisconsin and want to check out these amazing tools to use in your classroom, go to UW-Stevens Point Educational Trunks and Kits or their direct site at http://www.uwsp.edu/cnr-ap/wcee/library/Pages/trunks_kits.aspx to book your trunk or kit today! 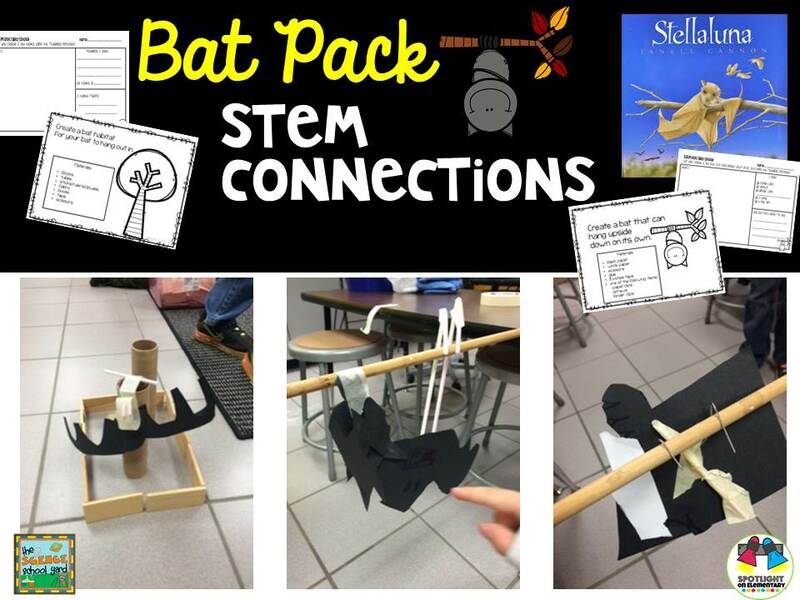 I also included in the trunk a free bat pack for teachers here in Wisconsin can use. Not able to utilize this fun BAT themed trunk...no worries pick up your Science-Based Bat Unit here! What can you do to go back to college to help teach science without even having to take a course? Check out your local universities by calling or searching in their library catalog for trunks for kids for educators. You might be pleasantly surprised!